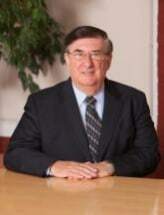 John serves as Senior Counsel to the law firm. Previously he was the managing partner of Freedman, DeRosa & Rondeau, which he founded in 1976, and of DeRosa Dohoney LLP, its successor. Areas of Practice: A diverse and seasoned practitioner, John practices across several areas, including: estate and tax planning, probate law and estate administration, probate litigation, public law and tax exempt organizations, real estate and commercial transactions, and appellate practice. His estate and tax planning practice includes representing high net-worth clients and planning complex estates. Career Highlights: John’s decades of practice in the area of Public Law include extensive work in the area of public-private contracts, the relationship between non-profit and for profit corporations, the drafting and securing of the passage of state legislation, and other work with government leaders and agencies at the local, state, and federal level. Among other things, he was the primary author of a series of complex legal agreements between the public and private entities that created and govern the Massachusetts Museum of Contemporary Art (MASS MoCA). His past litigation practice included appearances in all State and Federal Courts with an emphasis in Criminal Defense, including argument before the Massachusetts Appeals Court and the Massachusetts Supreme Judicial Court. John prevailed in the case of Commonwealth v. Moran in the Supreme Judicial Court, reported at 387 Mass 644, which became the leading case on the law of felony murder, and established new law in Massachusetts regarding a co-defendant’s constitutional right to a separate trial. In the non-profit arena, John has served as General Counsel for the Massachusetts Museum of Contemporary Art Foundation since its inception. He also serves as Trustee of a private charitable trust. Regarding public and municipal law, John has served as City Solicitor for the City of North Adams since 1982, and has served as Town Counsel to several municipalities throughout the Berkshires and Western Massachusetts, including representing the City of Pittsfield for five years. Community Involvement: Twice the recipient of the Francis H. Hayden award for outstanding community service to Berkshire County, he is also a former Grand Marshall of the Northern Berkshire Fall Foliage Parade, and has received the Massachusetts Bar Association Community Service Award. He is a member of the Massachusetts Bar Association, the Boston Bar Association, the Berkshire Bar Association, and a lifetime fellow of the Massachusetts Bar Foundation. John has long been active in numerous local civic and charitable organizations, including the Northern Berkshire United Way and the local Chamber of Commerce. He was instrumental in keeping the North Adams SteepleCats baseball team in North Adams and served as its President from 2004 to 2010. He is currently the President of the New England Collegiate Baseball League. He also serves as President of the North Adams Partnership, Inc., a nonprofit economic development organization he founded with Mary Grant, then President of Massachusetts College of Liberal Arts, and Joseph Thompson, Executive Director of MASS MoCA. He resides in North Adams. Bar Admissions: He is admitted to practice before the Massachusetts Supreme Judicial Court, the United States Supreme Court, the Federal District Court for the District of Massachusetts, and the United States Tax Court. He has presented argument before the Massachusetts Supreme Judicial Court and the Massachusetts Appeals Court. Education: John received his law degree from Boston College School of Law, and his bachelor’s degree from the College of the Holy Cross. In 2011, he was the recipient of an Honorary Degree as Doctor of Laws from the Massachusetts College of Liberal Arts.